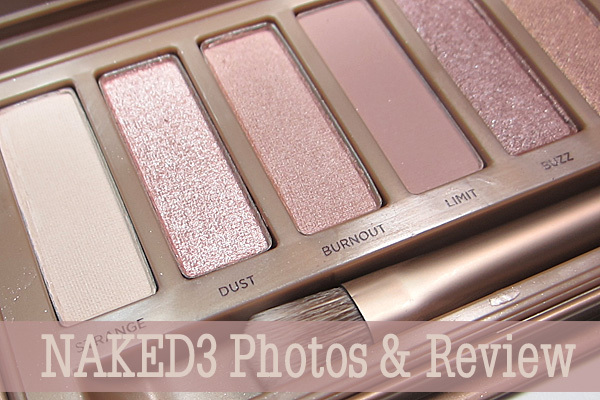 Urban Decay Naked3 Palette Photos & Review. 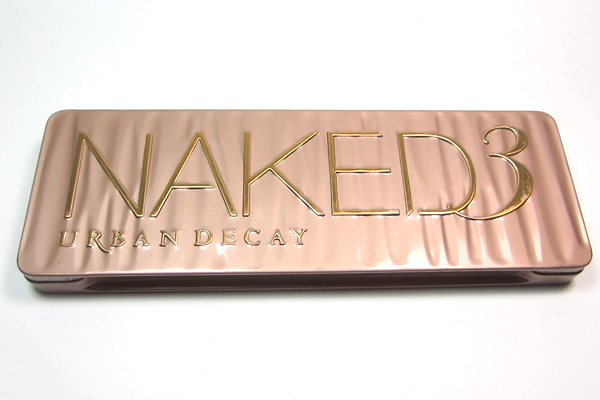 The Urban Decay NAKED3 Palette was released a few weeks ago, and I finally got my hands on one yesterday! I was so excited to share that I took some photos and have my thoughts for you already. In one word, this romantic rose-based eyeshadow palette is stunning. 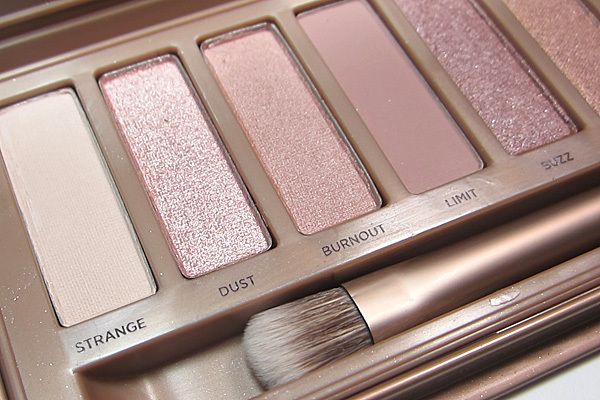 You are going to want to grab this palette when you can. The shadows are very long wearing, glide on with ease and blend very well. They are made with Urban Decay's Pigment Infusion System™, the proprietary blend of ingredients that gives every shade its velvety texture, rich color, serious staying power and blendability. Overall I am a fan of the NAKED3 palette and the rose hued shades. I can see myself using most of the shades except Blackheart because the red glitter scares me, (though I might try it as a liner) the rest of the shades are really stunning. The majority of these shades really will be flattering on most, if not all skin tones. I can see an endless amount of looks being created with these shades. The five lighter shades that I have pictured below are my definite favorite, and I will be using them the most, I am sure. The darker shades like Factory, Mugshot and Darkside are amazing in the crease and Liar is going to be my new go to lid color. NAKED3 sells for $52.00 and is available at Urbandecay.com, Sephora, ULTA, beauty.com and select Macy’s.